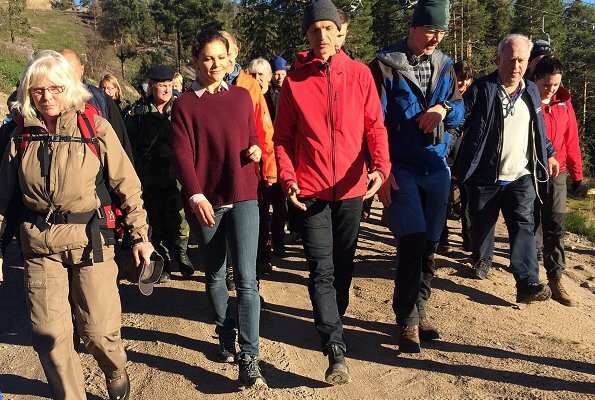 The 16th hiking of Swedish Crown Princess Victoria takes place in Hälsingland today. 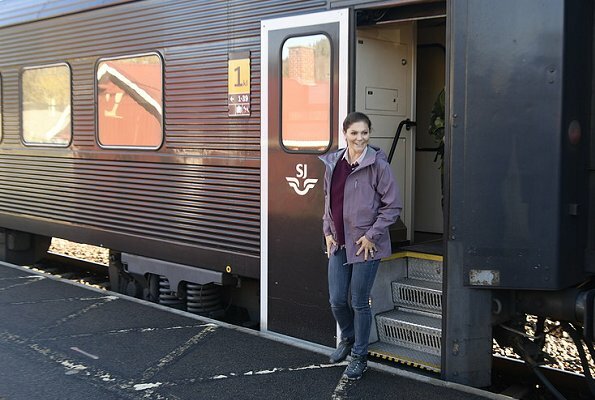 The hiking began at Järvsö Train Station where the Regional Governor, De 5 Stora Organization, students from Järvsö School and local people welcomed the Crown Princess. 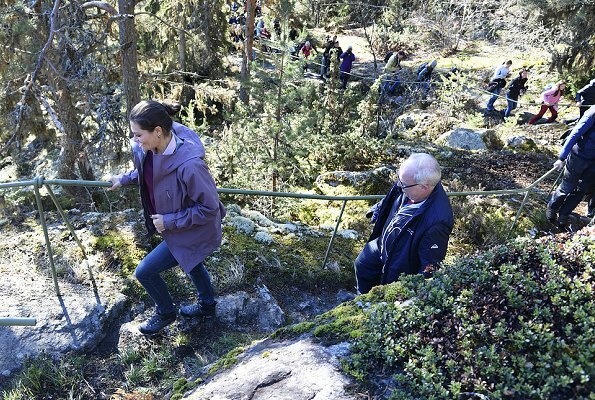 From there, the Crown Princess hiked towards Öjeberget. The hiking route continued in Bergscykel Park, Badtjärn' Järvzoo, Kramsta, Strandvallen, Kyrkön and Stenegård and the hiking ends in Kristofersgården, a world heritage site in Stenegård. Victoria looks so beautiful. She is proof that regality is natural and something one is born with. How nice to see Victoria on a hike again. Today she is in her sisters Duchy. She seems to be a very outgoing person.She looks great in casual and Gala dress. This seems to be a beautiful part of the Country. Victoria stay as you are you will be a great Queen some day. Agree. Also cannot imagine Madeline sozialize with her duchy´s people like Victoria is doing. 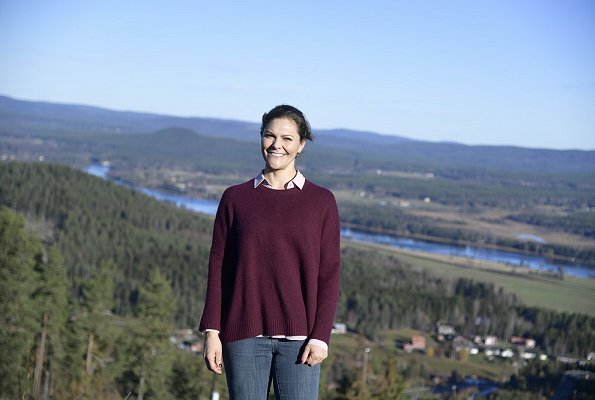 Hiking, greeting, interviewing, having fun - she is Swedens treasure and the stunningly beautiful countryside of course. What is the purpose or reason for the walks that Victoria takes? Thank you for the information. I can see how this would encourage good relationships. Also to meet her ordinary people and to courage people go to nature walks. I beg to differ. Indeed, Victoria does look beautiful but her composure is well trained. As is the case with all other royals. They are all human beings simply born within very privileged families. How refreshing to see a natural, beautiful woman on a hiking tour and visiting people! She will become Queen and for this reason she dresses too casual, but she looks very good. She lost weight and that suits her. Too casual for a hike in the forest? What do you want her to wear, a ballroom gown and tiara? 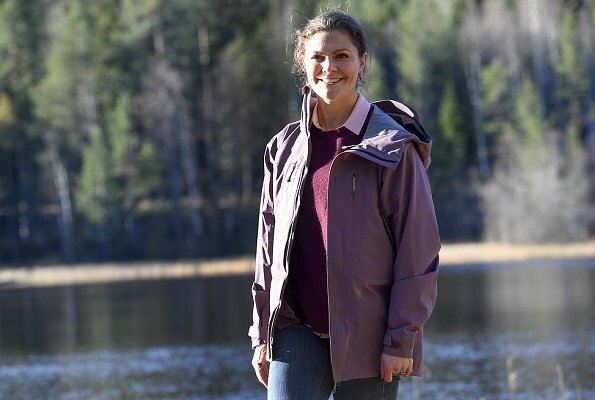 I think the Swedes would find it very strange if she dressed in anything but casual and practical when hiking. So her way of dressing at these events is perfect for this country. Victoria seems at ease with her role (although I can only imagine that it is anything but an easy one) and decided to do it her way. I am a fan of hiking and spending time in nature and given her many other (mostly indoor) commitments, I can see how it makes her happy to be outdoors, get to know people and encourage the younger generation to get away from computers and electronic games. 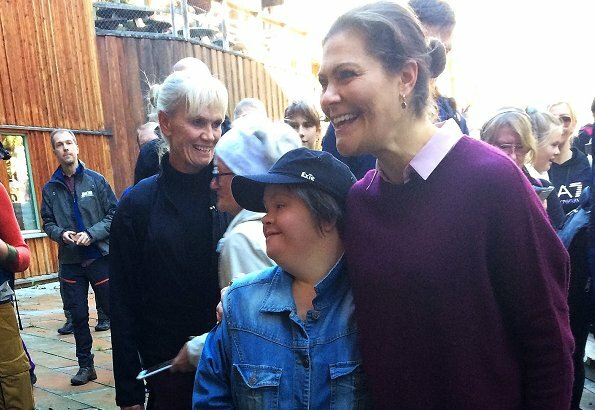 I believe the monarchy is quite popular in Sweden - and I can see how she is a role model for the young folks. As far as the outfit goes, the one comment above about her not being "royal" is unusual - given how she strives to encourage outdoor activities, it would be really odd to be dressed in a way that people can not relate to. And yes, I believe she did loose some weight on the tour and her figure looks a little more trimmed - but she had a good, healthy weight before as well. She continues to be one of my favourite royals. Contesto a Anónimo 10'16:no es tan fácil siempre sonreir (aunque quieras llorar... ) tienen todos los problemas nuestros!! Por eso algunos se suicidan(hijos farah diva...etc )estar siendo juzgado en cada instante, y el dinero ayuda pero no da la felicidad!! I saw her in Öland last summer and I was suprised how petite she is in real life. But Even though she was on vacation she talked, smiled and posed for pictures outside the toy shop in Öland. She seemed so down to earth and genuinly friendly.